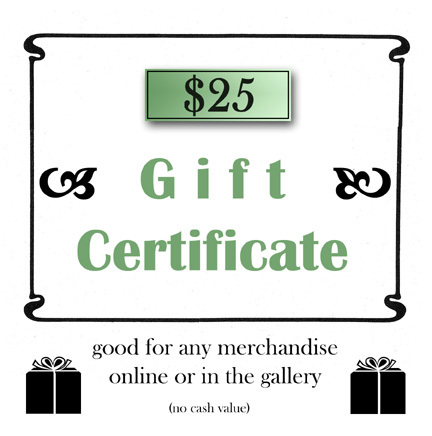 A gift certificate from Artifacts Gallery will make everyone happy! Add this item to your shopping cart and we'll send you or the lucky recipient a gift certificate in the mail for $25, good for any merchandise in the gallery or in our online store. Never expires. No cash value.